We've already mentioned Safe Travel before, but it is still one of the top tips for Kiwis travelling overseas for advisories, general information and their itinerary registration service. For those for whom it has been a while since they travelled, there is no longer a Departure Tax payable at the airport. This has been levied onto the airlines (who undoubtedly add it into their fares to you!). Luggage trolleys are free to use in the terminal. Contact Work & Income New Zealand (WINZ) if you or someone in your family are receiving any form of benefit or allowance before travelling overseas. Take out travel insurance when (or before) you book your tickets. You don't necessarily need to get it through a travel agent either - you can use any broker or insurance agent. Shop around! Remember that you may only have liquids to the volume of 100ml each in your carry on, that must fit into a 1l plastic bag (or 20cm x 20cm). You will find the definition of liquids quite broad. Everything else should go in your checked-in baggage. This also means water bottles or containers. You must empty them prior to customs clearance and may re-fill them after that. Totally prohibited items are listed on the Aviation Security website. If you have prescriptions, keep them in their original containers; and have a letter from your doctor listing their names and current dosage. Decide how you are going to spend your money. Each will have particular rules and fees which makes comparing one option to the next less than simple. Consider leaving some money in a NZ bank account for ongoing payments and emergencies. Inform your credit card company of your impending departure and which countries you will visit. That way you don't have a transaction declined as it is out of your usual spending habits. How are you going to keep in touch with family, friends, colleagues or clients? 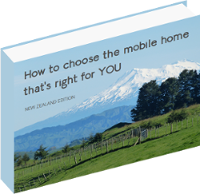 See whether you can take you cellular phone with you overseas and what it may cost to continue your NZ plan; or whether it is compatible with the country cellular network where you are going so you can pick up a new SIM there. Do you need to take a calling card from NZ or buy one overseas? Will you email folks or update a social media account instead? Are your wills up to date? Do you need to leave someone a Power of Attorney over all or part of your affairs? For those leaving an owned or rented property behind to travel, here are some items to consider in the months ahead to make your transition easier. You've probably been paring down and getting rid of some possessions (do they possess you or you them - hmmm?) but will also have some to store. Will you use an off-site storage facility? Store them in a loft / shed / container on your property? Lend large items to friends and family to use? Stash some boxes with friends here and there? Leave your stuff right where it is as you are renting your place furnished? Will you install an alarm system to protect your stuff? Who will monitor it or respond if it goes off? How will your contents insurance be affected by the various options? What will you do with any vehicle(s)? Will you loan it to a friend? Will they insure the vehicle or will you need to name them on your policy? Will they pay the excess in case of an accident; and tickets/fines in the case of traffic infringements? With the advent of electronic correspondence aka email we often have the choice whether we receive invoices/receipts/mail in our letterbox or via our inbox. When there is no alternative you can consider having your mail forwarded. As for magazine and/or subscription products, now is the time to evaluate if you want to continue these. Will you still NEED them on the road? Can you switch from a tree mail version to an email edition? Some utility companies will allow you to suspend your account so you don't have to go through the application process all over again nor lose your credit rating; others won't. Give them a call now to find out. If you are continuing any services for tenants, and are paying the bill yourself, can you get it sent to your email account? Generally it is NOT advisable to continue your own account and have the tenant pay that, unless you can guarantee it will be paid in full and on time. Will you set up a direct debit for the regular foreseen costs? If you are retaining a property and not selling off all your material possessions to travel, then you may also have a few ongoing maintenance and service costs to (budget &) pay for. Which one of these applies to your situation? Will you appoint a property manager to co-ordinate tradesmen and do inspections? Will you negotiate a service contract directly with the tradesperson instead; and have a friend or family member do inspections? Will you permit the tenant to contact service personnel themselves if something goes wrong? Will you set up an automatic payment or direct debit from the tenant to a separate housing account? Will a friend/family member or colleague have access to a housing account to pay bills; or will you do everything online? If you need a tenancy agreement, the basic one can be bought from local booksellers, or downloaded from MBIE where there is also more information about tenancies. Make sure that you lodge the tenant's bond with the Ministry of Business, Innovation and Employment along with the appropriate form. Have you checked with your insurance policy on any exclusions? Will you put a padlock on your letterbox if you have someone clearing it on your behalf? Do you have automatic security lights installed outside? Do you have lights on timers inside? Does the house looked lived in from the the outside? Washing on line? Shoes or gumboots at back door? Might you allow a neighbour to park their car in your driveway? Consider adding security stays to some of your windows so that you can leave them ajar to aid air circulation. Take a look at the list on the NZ Police website of how to protect your property. The signs I wrote about back in May are still on the door, and the kitchen and laundry haven't been started. In the interim we had one of our vehicles stolen and the ensuing palaver with the insurance company, where we undoubtedly came out worse off. This sadly stole my time and attention away from 3-d drawings and research over the last 3 1/2 months. It is so frustrating, but I am trying to console myself that all things work together for good, and this delay must be for a reason. It's not really working but there you go. I have managed to consolidate my to-do lists into one prodigious master list, all printed out and in one place; and am working through it at several items per week, alongside the urgent life matters that consistently crop up. Even though many of the tasks are big ones, my attitude is to ask myself the constructive 'what CAN I do?' rather than the overwhelming 'where do I start?'. Do I feel guilty that I haven't reached my goal? Yes and no. I realise that I can't be held responsible for other people's action and have no control of when and where they may occur. Embarassed may describe a little of what I feel, having put my goal out there, but then again, it's not as if I have dropped the ball and aren't still working towards them. I am, just slightly adjusting the timing. My focus is on the sense of freedom and achievement that I will feel when they are all crossed off; and what this will mean for the next phase in our lives - w~o~n~d~e~r~f~u~l! Printed from http://www.stellography.com/leaving-your-life-behind on 24/04/2019 - 01:13.